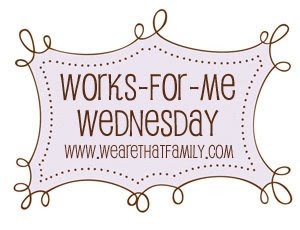 I'm heading on over to "Works for Me Wednesday", won't you join me? Yesterday was Taco Tuesday! (No we don't have tacos every Tuesday, but doesn't it sound festive!) 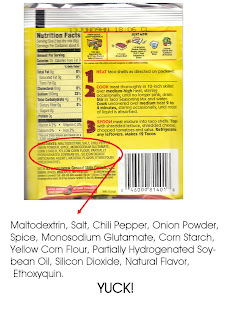 Recently I looked on the back of a taco seasoning packet and felt like calling poison control! I blended half of the spices in my Spice Grinder. It is just a coffee grinder that I only use for spices. And no I don't grind my own spices everyday. I didn't want to grind all of it because it is so pretty when you can identify the spices that you are eating. Except for my children who will interrogate me if the see some color in their food and demand to know what it is. Just lie, it's the right thing to do. About that lying thing...do they need to know that they are eating shredded cabbage instead of lettuce....no......Organic Greek Yogurt instead of Sour Cream..........no...Ground Turkey instead of Beef.......no.....Whole Grain Tortillas.......Oh come on, your mom did it to you too! 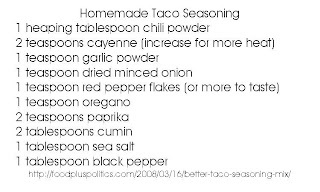 Glad to see this recipe, I am working on a post for next week about homemade seasonings...mind if I link up with you? LOVE THIS! Seriously - love it. Does this mean I have to go buy a grinder, though?? i love it! i bet that your homemade seasoning is cheaper, too! i love that you lie to your kids, I can't wait to have my own and lie to them, too!